Here is a set of barely used Kay Chicago Blues harmonicas. Set includes all seven Major keys. Everything is in excellent used condition. 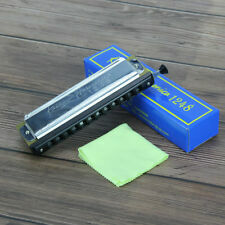 Sounds Of Nature - Eastar Admiral 24 Holes Tremolo Harmonica is typically designed for harmonica performance and competitions, its timbre, tuning and sound quality are up to the level of the recording studio. TurboHarp hard shell case for 12 diatonic harmonicas. Nearly new. Condition is used; photos are of the actual case. You can see it's in very good condition. Includes strap. How It Works:The TurboSlide represents a NEW generation of harmonica, which adopts thecharacteristics of both the diatonic and chromatic harp. By sliding ourpatented magnetic slide toward and away from the reed, the pitch can beadjusted manually. Genuine New Lee Oskar Harmonica Harp 7 Place Pouch. Lee Oskars are the best harmonicas in the world, and that's not just our opinion. C.A. Seydel Sohne 1847 Silver Harmonica Key Of C Optimized For Overblowing. Condition is Used. Shipped with USPS Priority mail. This is my last harmonica. Sold off many nice ones but this was my favorite. I always loved the richness of its tone. It has had the reeds gapped to make Overblowing easier. The slots HAVE NOT been embossed so you could have that additionally done for even more ease in overblowing. I think it overblows quite well the way it is. 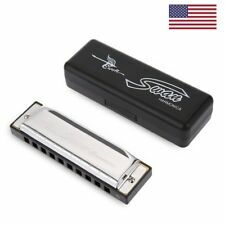 Seydel harmonicas are made quite precisely to begin with so there is not much room for improvement. I have played it very little. It’s mostly sat in a drawer. New Neck HARMONICA (Harp) HOLDER + Look Inside FREE BONUS!!! DELUXE HARMONICA HOLDER. (Harmonica Not Included). Spring Loaded holder designed for fast harmonica changes. Padding to protect your harmonica from marks or residues. Harmonica holder will adjust to your perfect comfort angle. 4.5 out of 5 stars - New Neck HARMONICA (Harp) HOLDER + Look Inside FREE BONUS!!! 14 product ratings14 product ratings - New Neck HARMONICA (Harp) HOLDER + Look Inside FREE BONUS!!! 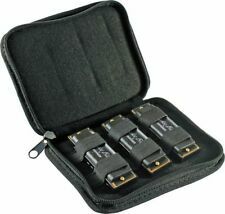 The Folkmaster harmonica includes a hardshell carrying case. Tested, Cleaned, and Works. Hardshell carrying case. If that's not enough, just call us! We'll talk to you soon! We promise, we won't forget about you. Hello, Here are 4 Hohner Harmonica's from my Late Grandfathers Estate.